The Mineralogy Mod aims to provide a much more realistic geographic layout to the game. It gives you several new types of stone and layers the ground in a better accordance with sedimentary, metamorphic, and igneous rock layers. Sand looks more like actual sand and mountains are broken up into layers as well. Unfortunately it won’t work quite as well on current saves so you’ll need to create a new world in order for the layers to take effect. 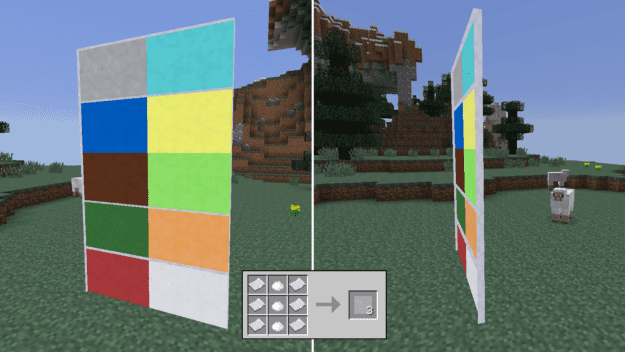 With all these new layers you’ll get many new minerals that are mostly aesthetic but give you a bunch of new options for building with stone blocks. Plus you can make polished blocks with many of the new minerals when you stack 4 together. And you can now mine gypsum so when combined with paper you can make drywall. Add that with any color dye and you can make actual thin walls for your home. The latest update for the Mineralogy Mod ported it to Minecraft 1.7.10 and also added in range of new items.